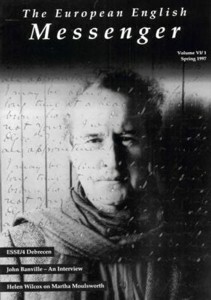 Cover: Jerry Bauer’s photograph of John Banville with the ghost of a letter by James Joyce. Language and . . .Literature?